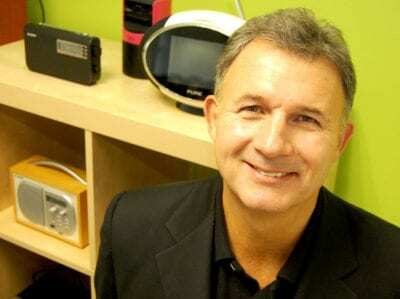 Ford Ennals, CEO, Digital Radio UK looks back on the year in digital radio and ahead to 2018. "So this is Christmas and what have we done. Another year over and a new one just begun." Yes, this is always the time to look back, look forward to the festive break and then peak into the New Year. In the world of digital radio we can look back with some satisfaction at progress made and look forward to enjoying the new golden age of radio. At the beginning of 2017, digital radio listening had increased to 45%; the second DAB national network Sound Digital had launched but was unproven; post-Brexit, the future of DAB in car was uncertain; there was no clear road map for the future of small-scale DAB; the world’s first FM switch-off had just started; the world’s first voice-controlled speaker had launched; and unbeknownst to us all the PM was about to call a General Election. Now a year on, digital radio’s future looks assured. Digital listening has risen to nearly 49% on the way to 50%. Listening on the Sound Digital network has grown to record levels and provided a platform for some of our favourite digital-only stations – including Mellow Magic, Magic Chilled, Planet Rock, Jazz FM, Union Jack and Virgin Radio. Two stations did drop out in 2017 – Awesome and Share Radio but it has been announced that they will be replaced by a new national Jack station and the national return of Forces station, BFBS, bringing the total number of Sound Digital stations back to 19, 6 of which are broadcasting on DAB+. Over on the original national DAB network, Digital One, 2017 saw the launch of Heart 80s which has been an instant success and finished the year with over 1 million listeners. The good news on the car front is that, despite the uncertainties brought by the Brexit vote, vehicle manufacturers are still committed to fitting DAB into nearly 90% of new cars. 2017 saw the launch of the Go Digital Car pilot in Surrey which helped prompt dashcam giant, Nextbase, to launch a new range of digital car adapters and for Halford’s garage chain, Halfords Autocentres, to start fitting them. In April, small-scale DAB legislation received Royal Assent and the number of stations on the ten DAB mini-muxes increased to over 140, with over 100 broadcasting on DAB+. This year Norway switched off FM transmissions for national and major regional stations, leaving local stations on FM for a further 5 years. The Norwegians are pleased with progress and there are many lessons for the UK particularly about how to upgrade all cars on the road to digital radio. We look forward to welcoming the Norwegians to the UK in the Spring and hearing about their progress. 2017 was the year that voice-controlled devices and Alexa came into our lives with the launch of the Amazon Echo, followed swiftly by Google Home, a new generation of Sonos One, and many more to come. The good news is that according to RAJAR’s MIDAS survey, 60% of listening on voice-controlled devices is to live radio. Despite the snap election, Digital Minister Matt Hancock stayed in place and he has proved to be a great supporter of the radio sector and all things digital. Looking into 2018, the digital shift in listening will continue to 50% and beyond. More national and local commercial digital-only stations will launch on DAB. BBC 6 Music and BBC 4 Extra will continue to lead the pack and achieve record listening. News UK will continue to invest in radio with the launch of three Scottish Sun digital stations and who knows maybe even a national Sun digital station at some time? It’s going to be a big year for sport and England will win the World Cup(!). Of course we will hear all about it on digital radio on BBC Radio 5 live, 5 live extra, talkSPORT and talkSPORT 2. The first voice-controlled radio sets will appear in homes and cars. DCMS will conduct a review and conclude that radio’s future looks to be digital and very bright.